What is the definition of midwifery? The word “midwife” comes from an old German phrase meaning “with woman.” Originally it referred to being the attendant for a woman in childbirth, but the role of a Certified Nurse-Midwife has expanded that definition: A Certified Nurse-Midwife is with women through all phases of life, not just during the event of childbirth. CNMs serve women from adolescence through late adulthood. We do well-woman exams, primary care and perhaps most importantly, recognize what’s normal and what’s not normal. We frequently refer a woman to a physician if her symptoms, lab results and other testing indicate an abnormal condition. Certified Nurse Midwives are team members with physicians, nurse practitioners, nurses, ultrasonographers, therapists, social workers, laboratory technicians, and many others on the health care team. Kari Herman is a native of Central Texas. She received her Bachelors degree from Texas Tech University Health Science Center. In the summer of 2013, she earned a Masters degree in nursing from Frontier Nursing University and was certified by the American Midwifery Credentialing Board. 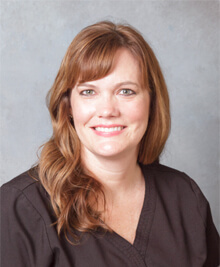 Kari worked as a Labor and Delivery nurse in Waco for over 15 years prior to becoming a Certified Nurse Midwife. She currently resides with her family in China Spring where her two children attend school. “Empowering women to be decision makers in their care and assisting them to have the birth they desire” is what Kari treasures most in serving Central Texas families. Why do you personally feel it is so important? My first love is pregnancy and childbirth. Carl Sandberg said, “being born is important.” With our busy schedules, hospital policies, pain, fear of complications and the like, we lose sight of that fact. Being born is a sacred experience for the baby, the mother, the family, and we’ve discovered, for the midwife. I also love the continuity of care that occurs when I see a woman in early pregnancy, follow her closely through the 9 months, attend her in labor, deliver the baby, follow-up postpartum and then see her for the rest of her life for pap smears, future pregnancies and referral to specialists. I get to know the entire family and we often extend into the next generation with care for her adolescent daughter. How is being a midwife different from other physicians in your office? Because I don’t have surgeries and high-risk patients to take care of, I can devote more time to education, listening and the practice of “presence”. Presence is that continuity of care, it’s being there. It’s the continuity of being at bedside through the whole labor, and when the time comes, stepping to the end of the bed and gently “catching” the baby as it is delivered into our hands by the mother. How does one find out more about it? The American College of Nurse Midwives is our professional organization. Its website ACNM.org has wonderful information and resources. Why might it be preferred over traditional childbirth process? People prefer it over the medical way for many reasons. Presence is probably the biggest reason. The continuity of care and availability of the midwife to the patient is very popular. The midwifery philosophy is that birth is not an illness. In a healthy, normal pregnancy and birth, the midwife can be more flexible with positioning, monitoring, ambulation and mother-baby-father bonding. I think the stress on education is also important to people. When circumstances stray from the realm of normal, the CNM is quick to recognize that and consult or refer to her physician team-mate. Since all deliveries are at Ascension Providence Hospital, emergency equipment and staff are readily available when needed. Do you follow the patient throughout entire labor & delivery process? I try my hardest. For women who chose natural labor, I am at their side nonstop. If a patient has an epidural and is very comfortable I don’t usually hover at the bedside. I stay in the hospital and do other tasks but try to make it clear to them that we are close by and they should call if they need us. Once active labor begins, I’m there continuously. If I have two patients in labor, I do the best I can to run back and forth. Do you order epidurals and other needed medicinal intervention? Yes, I order epidurals and other pain medicines for labor in the very same way the physicians do and the medical team will administer as needed. How will being a part of Ascension Providence and our new Women & Newborns Center benefit you and your patients? I strongly believe that Certified Nurse Midwives offer the best of both worlds. A woman can experience safe, personal, individualized, intensive care that is trusting of the birth process God set in place, while at the same time having the safety net of equipment and physicians readily available when high-risk situations develop. Ascension Providence and Waco Center for Women’s Health have been phenomenal in their support of this philosophy. The Providence Women & Newborns Center renovation has brought exciting changes! We’ll have two beautiful rooms with all the amenities to welcome a laboring woman and her Certified Nurse Midwife in attendance: a labor tub, labor ball, squat bars, warm compresses, cool cloths, showers, and much, much more, but best of all, I will continue to have the supportive and caring staff that have been working with a Certified Nurse Midwife and witnessing these important births for 4 years now! 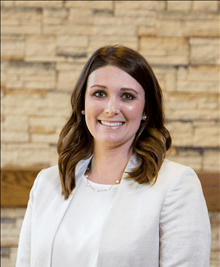 Morgan Estes is a native of Gatesville, Texas, wife and mother, she enjoys spending time with her family, crafting, shopping and spending time on the family farm. Through her experience as a labor and delivery nurse, Morgan knew she wanted to partner with women throughout their lives through midwifery care. I am committed to individualized healthcare for each woman; embracing and empowering them through the normal physical and emotional life changes of adolescence, pregnancy, birth and menopause. As a midwife, I strive to create a trusting partnership to provide quality care, empower informed decisions, promote optimal health, advocate normalcy and respect autonomy. My goal is to provide each woman who seeks midwifery care with the unique care she deserves.